Our quality can’t be beat and our pricing is pretty darn good too! Don’t take our word for it, check out our YELP! reviews. They’re so amazingly, over the top, good that Yelp! has over 39 of our reviews in their filtered box!!! Customer reviews posted on our web site are below. Service was courteous, and fast. The product was better than I could have imagined. Nancy was an amazing consultant. I highly recommend their services. Thank you Nancy for providing great customer service. I appreciate that you were able to expedite our order and the quality of your work is fantastic. I look forward to working with you in the future! SLB has been handling our small business printing needs for almost a year now and we couldn't be happier with their speed and service! I am based in London and was pushed for time to get a number of items printed for a show in the US. Nancy was a complete dream and not only turned around the order in super speedy time, but gained my total trust and confidence over only 1 or 2 transatlantic calls! Thank you so much to the team, I really hope we can do more work with you guys soon! Venessa, Nancy, and team at SLB have been an absolute pleasure to work with! They're friendly, professional, incredibly responsive, and the quality of product is excellent. We priced our corporate printing costs at many companies and SLB is the perfect combination of personable service and fast quality product. Thank you SLB team for your amazing partnership!!! For one time movie type posters, they did an excellent job, were helpful and most accomodating. Excellent service, quality products, extremely patient and professional. 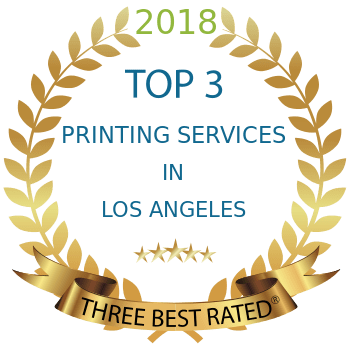 The only place to print in LA if you ask me. I was struggling to find a quality printer that could make a large banner for my company—and have it ready the same day. At the last minute, I was suggested to try SLB and I'm so so glad I did! Nancy was absolutely lovely and the pre-press guys gracious enough to squeeze my order in even though I'm sure they were looking forward to their weekend. It turned out beautifully, and just in time for my company's event this weekend! I'll definitely be making these guys my go-to printer! Thank you, thank you, thank you!